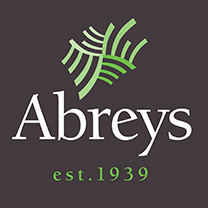 RG Abrey Farms fresh produce site is located in the heart of the Brecklands. The business was started in 1939 by the late Russel Gordon Abrey in the Box Valley, Suffolk. It is now a 3rd generation family farming business growing combinable crops, sugar beet and specialising in early new season root vegetable production with modern storage for year round supply. Facilities include over 700 million gallons of winter storage water, over 40,000 tonnes of specialist vegetable storage, along with grading and packing lines capable of producing 500g up to 1 tonne bags in various formats. We also hold Grade A BRC Accreditation. The Breckland landscape consists of tranquil forest, open heathland and agricultural land, home to many unique and distinctive plants, animals and birds. A study by the University of East Anglia found that more than a quarter of the UK’s rare species were found on farmland in the Brecklands.